Do you suffer from allergies like I do? Take note of what you should do differently during allergy season to help your eyelash extensions last longer! This has been the WORST allergy season I’ve experienced in the past 5 years. I’m really allergic to oak, pine, juniper, etc and all of that has been blooming and making me miserable. Last time I gave up my lash extensions because my allergies were so bad and I was so miserable. 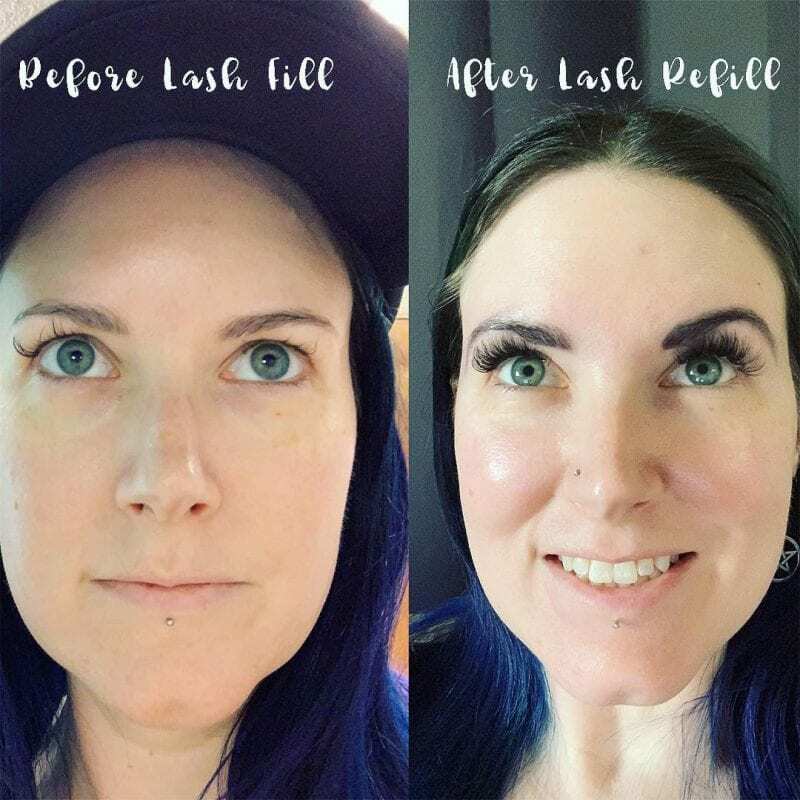 I didn’t want to experience that again so I asked Thisha what I should be doing to minimize my allergies to make it through with my eyelash extensions intact. She offered her top 5 tips for eyelash extension wearers during allergy season. I personally get a hybrid volume and classic lash fill with synthetic lashes and surgical glue. I started wearing lash extensions again because I want to wear less eye makeup, I get ready faster with them, and I wake up feeling like I look like a million bucks with them. As I mentioned, I get a hybrid volume classic fill. I usually opt for classic lashes for the inner 1/4 of my lashline and volume for the rest. 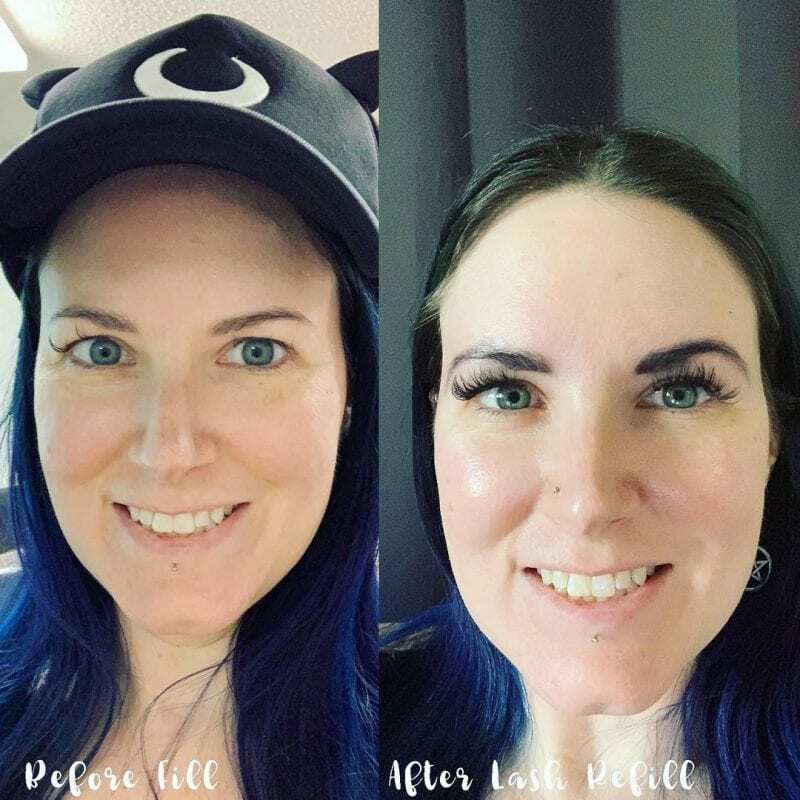 I get lash extensions that are as close in length to my natural lashes (not that it’s easy to tell that), so that they last longer. 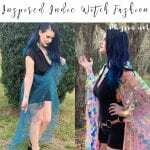 If you’re in the Tampa area, I highly recommend seeing Thisha, who is amazing! 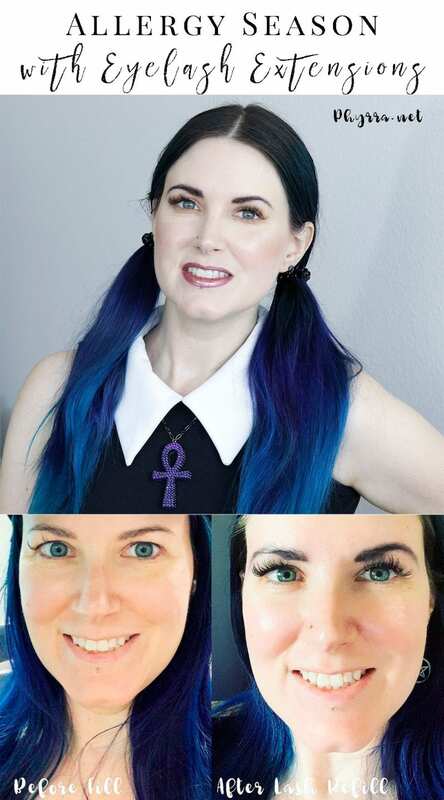 She’s been doing my lashes for years. Follow Thisha on Instagram Polished & Co. Lash Spa. Want to know more about eyelash extensions? Start with my Beginner’s Guide to Eyelash Extensions. Already have eyelash extensions? Make sure you know How to Make Eyelash Extensions Last. The top question people ask me about eyelash extensions is, Can you use micellar water with eyelash extensions? 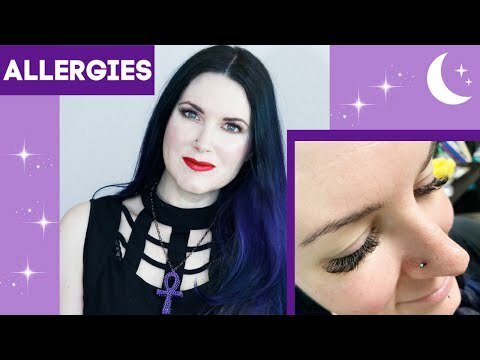 I hope that you find these top 5 tips from Thisha for eyelash extensions and allergy season helpful! I know I do!